Do you ever feel like the world’s biggest hypocrite? I confess, I do. that God can heal chronic pain and illness? that God can restore broken marriages? that God can quiet the wind? that God can save the vilest of sinners? that God restores what the locust have eaten? that God can make straight the crooked places? that God can provide when everything is coming up zero? that prodigals really “come home”? Oh God, I don’t want my faith to flip-flop. 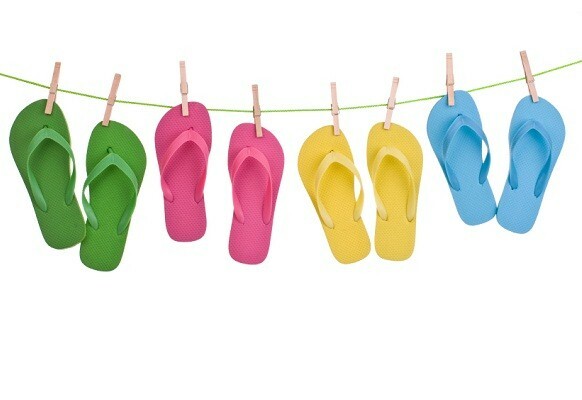 I DO NOT WANT TO FLIP-FLOP. And, a huge thank you to Bible Gateway’s incredible new website, which makes looking up scripture an absolute breeze! It is amazing how short lived our memories can be. Praying that we would remember & hold on! Blessings! The secret is to grab it! Once we do…it works. Turning every negative into a positive thought. It is not the power of positive thinking…that was a man thought. This is GOD thought. Jesus was positive of everything He did and He did it positively because He loves us and wants us to have the desires of our heart. His Will is already set in heaven. It was when He sat down at the right hand of the Father. He stood up for Stephen when He was martyred… We were created for relationships and love and desires and hope and joy and peace….and on and on and on….believe it and grab it. Definitely time to grab it, sister! I must admit my faith flip-flops far too often. Thanks for these wonderful verses this morning. I definitely need to look them up. It’s so easy for me to know something in my heart, but let my head lead me to darker places. This is a perfect reminder of staying the course :)! WONDERFUL as always, Susan……………I am grateful that almost from day one as a Christian I was taught very carefully and “firmly” about taking every thought captive and so on and so forth. NOW I do not mean that I have it PERFECT *smile*………but, that teaching is deep down in me and I am thankful. Love you! Well, sister, you may have written this post for you but I know it will touch every reader’s heart! Especially mine today. 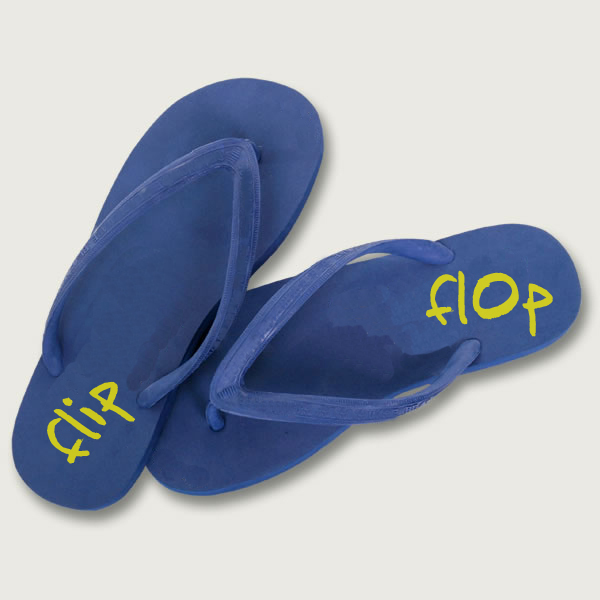 We don’t want to flip flop, yet we do. That’s why it’s so important to inscribe His Word on our hearts. And yes, doesn’t Bible Gateway’s new website make it so much easier to do? I love it. Cindy, so glad you stopped by! You touched the heart of it. What will it look like in my daily life if I truly BELIEVED every word in His Word every minute of every day in every circumstance? PEACE the desire of every heart. Thank you. I may not look at my flip flops the same again, but I needed to hear that! Sarah, word pictures are awesome reminders! Susan, love the flip flops photo and analogy…such great truth presented in a way in which we can all identify and remember…thank you! God’s 800 number – I love that scripture! This is something I want to print out so I can look at it again and again! Just the scriptures alone are worth remembering and having a list for! Thank you Ali!!!! Great reminder. This last year has been a glorious eye opener for me… I am still sitting with my mouth hung open in total awe of what the Lord has done and is still doing! He has reminded me of all the blessing and miracles of the past and brought my eyes back into focus of what he is still doing in the present. NOTHING is too BIG or too LITTLE for God, He is in control, we just have to trust and not lose hope… Even if it takes 7 years or 14 years… He’s got this. 😉 Thanks… and Have a blessed weekend. I am blessed to hear you say this Annette….nothing is too hard for Him! Amen. Hi Diane – so very glad you stopped by. Your words encourage me! Thank you Becky, the Word never fails us! xo So glad you visited – I’ve missed seeing you!